Are you aged between 5 and 12 years old and live in one of the HWF flats? 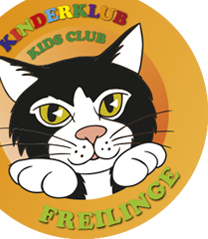 Then you are in the right place-the Kids Club FREILINGE! What can you see and do there? Lots of fun and action! Climb on the climbing wall, go bowling, play mini-golf. You can have a great time there and you will always find friendly HWF co-workers that will join the fun. We also have celebrations- whether it is Easter, Christmas or Halloween. Look forward to the party. When can you join the fun? On a given Wednesday during the school holidays from the morning till the afternoon. It´s absolutely free! Just register and join the fun. Tell your parents to fill out the form and send it to us. That´s all!